Hi friends, in this article, I am going to discuss about capacitive proximity sensor working principle and my article will definitely increase your knowledge on this topic. A capacitive proximity sensor senses the presence of an object (usually called the target) without physical contact. They are designed to detect both metallic and nonmetallic targets. They are ideally suited for liquid level control and for sensing powdered or granulated materials. The capacitive proximity sensor consist a high-frequency oscillator along with a sensing surface formed by two metal electrodes. When an object comes near the sensing surface, it enters the electrostatic field of the electrodes and changes the capacitance of the oscillator. As a result, the oscillator circuit starts oscillating and changes the output state of the sensor when it reaches certain amplitude. As the object moves away from the sensor, the oscillator’s amplitude decreases, switching the sensor back to its initial state. They typically have a short sensing range of about 1 inch, regardless of the type of material being sensed. The larger the dielectric constant of a target, the easier it is for the capacitive proximity sensor to detect. This makes possible the detection of materials inside nonmetallic containers because the liquid has a much higher dielectric constant than the container, which gives the sensor ability to see through the container and detect the liquid. For best operation, they should be used in an environment with relatively constant temperature and humidity. The point at which the proximity sensor recognizes an incoming target is known as the operating point. The point at which an outgoing target causes the device to switch back to its normal state is known as the release point. The area between operating and release points is called the hysteresis zone. Most proximity sensors are equipped with an LED status indicator to verify the output switching action. .
Capacitive proximity sensors are available in various sizes and configurations to meet different application requirements. One of the most common configurations is the barrel type, which houses the sensor in a metal or polymer barrel with threads on the outside of the housing. The threaded housing allows the sensor to be easily adjusted on a mounting frame. Inductive proximity sensors are used to detect both ferrous and nonferrous metals (such as copper, aluminum, and brass). Inductive proximity sensor operates on the eddy current principle. When a metal object moves into the electromagnetic field of the sensing head, eddy currents are induced in the object. This causes a change in the loading of the oscillator, which then operates the output device. The oscillator circuit generates a high-frequency electromagnetic field that radiates from the tip of the sensor. When a metal target enters the field, eddy currents are induced in the target. The eddy currents in the target absorb some of radiated energy from the sensor, which results in a loss of energy and change in field strength of the oscillator. The sensor’s detection circuit monitors the oscillator’s strength and triggers a solid-state output device at a specific level. Once the metal object leaves the sensing area, the oscillator returns to its initial value. The type of metal and size of the target are important factors that determine the effective sensing range of the sensor. Ferrous metals may be detected up to 2 inches away, while most nonferrous metals require a shorter distance, usually within an inch of the device. Thanks for reading about capacitive proximity sensor working principle. 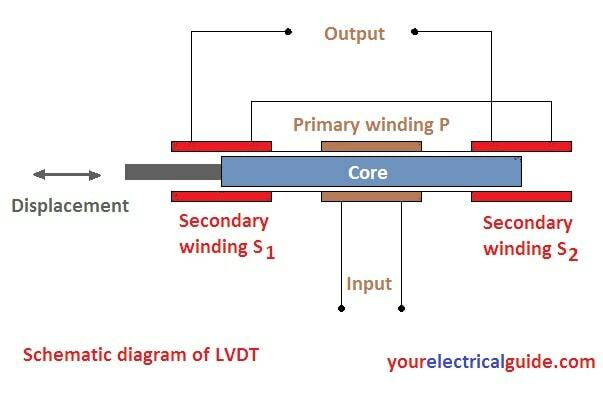 © https://yourelectricalguide.com/ capacitive proximity sensor working principle.